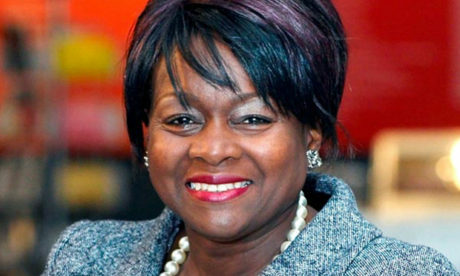 Jennette Arnold OBE, Hackney’s representative at the London Assembly since 2004, has announced she will step aside when the next election rolls around in 16 months’ time. In a letter to friends and colleagues on 18 January, the Labour veteran said she would not be seeking re-selection as the “time is right for me to move on and to seek other challenges”. And Newham councillor James Beckles called Arnold a “true champion for women and girls, especially BAME ones”. 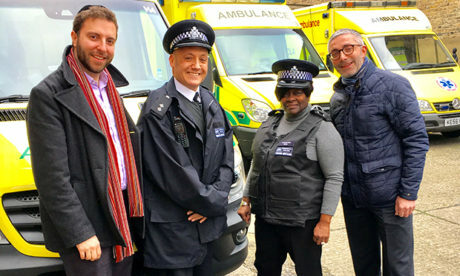 Arnold, who was born on the Caribbean island of Montserrat and later trained as a nurse, began working on the London Assembly in 2000 as a list member. In 2004, she succeeded Meg Hiller, current MP for Hackney South, as the Assembly Member for North East London in 2004, serving Hackney, Islington and Waltham Forest. Arnold has also chaired the Assembly for the past five years. In a list of her proudest achievements, she includes contributing to bringing the 2012 Olympics to London, introducing legislation to control smoking in public places and being an active champion on women’s issues, “especially FGM, modern slavery and domestic violence”. 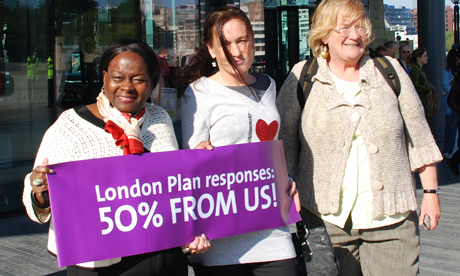 Jennette Arnold with Christine Cauley, housed traveller from Hackney; and Frieda Schiker, Director of London Gypsy and Travellers Unit in 2010. Arnold also campaigned alongside anti-fascist and anti-extremist organisations such as Hope not Hate, Freedom for Kurdistan, and her trade union, the GMB. She added: “But the core of our work as assembly members is with our constituents. I want to thank them all for giving me the opportunity to be part of their lives and for having faith in me to deliver for them. “Together, we have secured continuing improvements in transport services, the renewal of local estates and have been unrelenting in our work to reduce air pollution and protect the health of Londoners. “I have tried to be a champion for younger people, opening up City Hall to them and mentoring young people, especially women and people from BAME heritage. 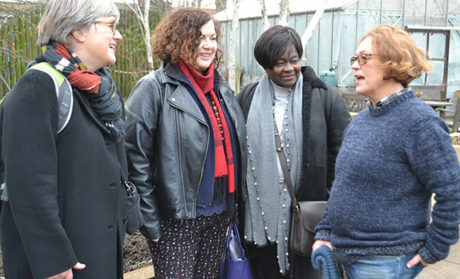 Assembly members Caroline Russell, Leonie Cooper and Jennette Arnold with Paula Yassime from St Mary’s Secret Garden on a visit to the Homerton green space in 2017. “I have tried to be fearless in my work, representing those without voices, challenging those with power to ensure they deliver. The next elections for the Mayor of London and the London Assembly are set to take place on 7 May 2020.